At this time of year, temperature is the key factor. Even a one degree difference in temperature can be all it takes to “make or break” your day. Focus on spawning flats with deep water nearby (the closer the better). Many times these early spring bass will be right up on the banks, so fish really tight. When bass get extremely shallow they are usually very spooky, so it is important to take a stealthy approach. Tackle should be light to ultra-light. 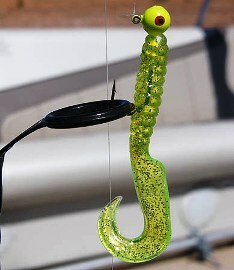 Spinning combos rigged with 4-8 lb. test line and lures that weigh ¼ oz or less will dramatically increase your success. Soft plastic baits like a 3″ Sluggo or a 4″ Senko (wacky rigged) with “no weight” are ideal for this type of shallow fishing. 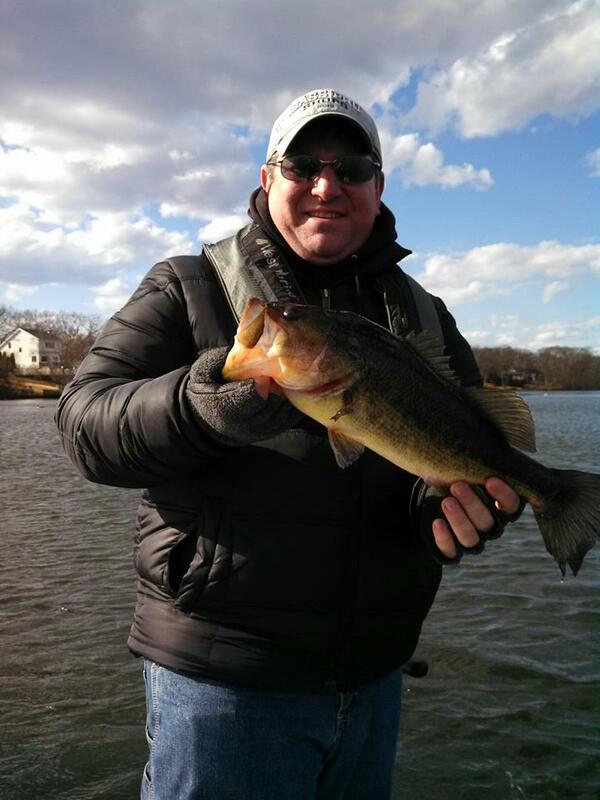 3″ grubs rigged on a 1/8 oz ball head jig can be deadly this time of year. They can be crawled along the bottom, or you can simply cast them out and slowly swim them back in. Whether you’re fishing from a bass boat, from shore, or wading, approach these bass fish carefully and make long casts. When using a weightless worm or other soft plastics, allow the bait to sit motionless on the bottom and watch the surface of the water for movement. Bass will usually swim up to the bait slowly, inspect it and then decide whether or not to eat it. Watch your line carefully for a small twitch, which will indicate a strike. Be patient and allow the fish a little time to swim off with the bait before setting the hook. A good pair of polarized sunglasses will really enhance the experience and help you spot the bass fish from further distances. Note: If you’ve been catching fish in these areas and a cold front moves in, move to the first drop off. If you don’t connect there, work your way back out of the cove or bay and look for the next significant drop off. Bass will almost always look for deeper water when a front moves in at this time of year. These fish will be non-aggressive and harder to catch. In deeper water, stick with smaller weighted jigs, grubs or tube baits and slowdown your presentation (FISH S-L-O-W!). These deeper areas are a great starting point if you do not locate the ultra shallow bass mentioned earlier. This is where the bass will stage waiting to move into the warmer, shallow water. If you can locate rock, weeds and/or wood in these staging areas, those spots will typically attract large bass. In the early spring on natural lakes and ponds, cold fronts can push largemouth bass into very predictable places. In this video we share tips for catching post frontal bass under blue bird skies with a Keitech Model 1 Jig. When water temps are still in the 40-50 degrees range, and you have clumps of grass and matted vegitation can be the ticket in shallower coves, pockets and ponds.